Some of the shops are based in the EU or in the USA, others ship directly from the Middle East. If you are looking for a book that is out of print at many stores, try Dar al-Salam. They have almost every Arabic book in their warehouse. They ship with EMS (Express Mail Service) and provide you with a tracking number. Payment can be done via Western Union or Money Gram in US-Dollars. Once you have completed your order, they usually send you an email with a special offer (discount and shipping costs) and tell you the banking account number (SWIFT transfer). If you have troubles sending the money via Western Union, try the TranserWise (low fees, fast, reliable). Usually the cheapest and best offer. They will often give foreign customers a discount. Helpful and very polite staff. They respond very quickly in case there is a problem (I once had a delivery problem, they solved it for me in Cairo). Payment cannot be made via Paypal or credit card. Cons: They recently launched a new website which is a bit slow. If you cannot find your book, just email them. I would recommend to write the email in Arabic. Costs (for 2 books including shipping, dealing with customs, handling): you usually will end up paying around 40 USD. Note: I only communicated in Arabic with them. But I am sure they will also respond in English. 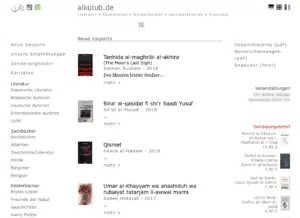 If you live in Germany, this is the best place to buy Arabic books. 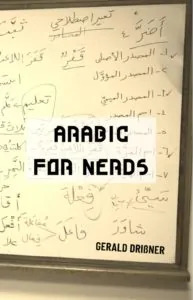 The owner is fluent in Arabic and very helpful. He entertaines an excellent contact network throught the Arab world. If you can’t find a book, you should try to ask Hans Schiler. Usually FREE SHIPPING (!) for Germany and reasonable rates for other countries. Website is in German, English, and French! Costs: It really depends on the books. But it is usually much cheaper than an import from the Arab world because of shipping (and there are no customs!). If you are looking for books printed in Lebanon, this is a good place to look for. Their warehouse is based in Beirut, Lebanon. Very user friendly, good customer support. However, Lebanon is a tough place to get stuff out of the country (similar to Egypt). Thus, shipping costs and a so-called handling fee are high. They usually ship with DHL (pretty fast but also pretty expensive; tracking number). If there is a problem, they send you back the money instantly without any hassle. Costs (for 2 books including shipping, dealing with customs, handling): you usually will end up paying around 50 USD. This is probably the best first choice if you are looking for a particular book. They have a great selection of books, also older ones. They ship with DHL and provide a tracking number. Payment can be done via credit card (secure connection!) which is pretty convenient. Costs (for 2 books including shipping, dealing with customs, handling): you usually will end up paying around 70 USD. 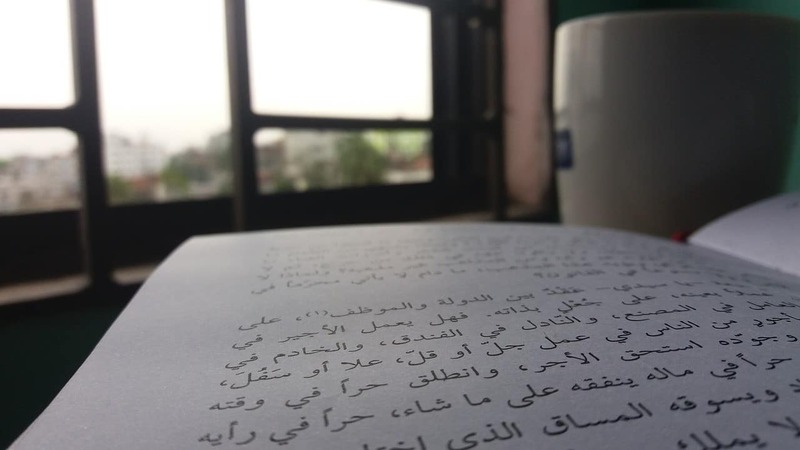 Relatively narrow selection regarding Arabic grammar books. But to be fair, I wouldn’t count that as a negative thing. It is just that they mainly focus on (Salafi) Islamic books. Costs (for 2 books including shipping): you usually will end up paying around 20 USD. (Note: I paid in Euros). They have a great variety of Arabic books (literature!) in stock. And it is a good place if you still don’t feel comfortable to deal with people in Arabic – because their site is available in English and their service agents speak English. Many payment options – even bitcoins! Shipping costs may be high. You cannot place your order directly if you live in Europe. You should email them. In Europe, you have to pay customs. Al Manhal ships books with Aramex. Aramex, at least in Germany, works with third party companies to deal with the customs office. They charge around 30 Euros for this service PLUS custom fees. Delivery time: Around a week to Germany. Shipping costs (for 2 books, destination Germany): 25 USD. Customs in Germany for three books (value around 30 Dollars) : 7 Euros. Plus fee for the company that does the declaration. In total: 37 Euros. For three books you are likely to pay 90 Euros at the end. Disclaimer: Note that I don’t get commisson or whatsoever from the above mentioned book stores. 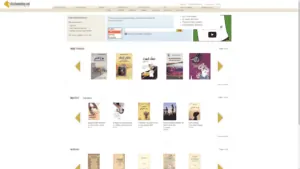 A great service for Arabic children’s books is http://www.arabicbookamonth.com primarily for the USA. It offers subscriptions for children’s books for Arabic speaking parents wanting to teach their children Arabic in a fun way using good quality books! I like https://www.jarirbooksusa.com/ I’ve been to their actual store in California, but when I don’t want to drive for 10 hours, I use their website. Very useful post. 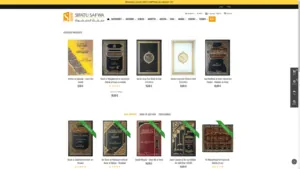 I’m in the US and use alkitab.com – shipping within the US is usps, so two books costs with shipping costs me about $35. 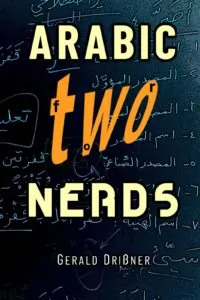 I also use Amazon in the US- the number of arabic language books seems to have increased every time I look, and it’s an easy and cheap way to get fiction bestsellers. However, search function is pretty bad/ there’s no telling if the book will have been listed in Arabic script or English characters. I use Amazon more for browsing and just buy whatever looks interesting. Amazon pricing is the cheapest, since many books are now available with free prime shipping. I use Jamalon (based in Jordan). They have an English website and do free shipping on orders over 20USD (using standard international carriers). I’ve never had any problems (I’m in the UK). Confirmation emails etc are in Arabic.